Kailua Village Business Improvement District (KVBID) launched a free smartphone application that users can download to learn more about history, significant sites and things to do along Royal Footsteps Along the Kona Coast, the state’s second Hawaii Scenic Byway. The Kona Royal Footsteps APP is an interpretive experience that focuses on Alii Drive’s roughly seven miles of roadway with seven centuries of archaeological, historic and cultural traditions and more than two dozen impressive points of interest. Thanks to efforts by Kailua Village Business Improvement District, the Local Byway Committee, a grant from Hawaii Tourism Authority, and to HTA-funded County of Hawaii County Product Enrichment Program funding, the Kona Royal Footsteps APP shares a tremendous amount of historical information and photos along with ocean recreation, shoreline access, area accommodations and more. Downloads for the free application are available in online APP stores by searching “Kona Royal Guide,” or “Kona Royal Footsteps.” Alternatively, just click for the iPhone APP url or here for the Android APP url. Kailua Village Business Improvement District sponsored the nomination of Alii Drive as a Hawaii Scenic Byway. 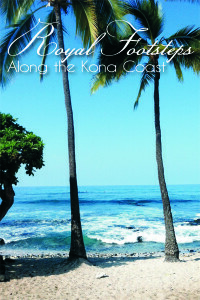 Royal Footsteps Along the Kona Coast was designated as the state’s second Hawaii Scenic Byway. Media release: Preservation Honor Award presented to Royal Footsteps Along the Kona Coast. Media release: Pualu Award for Culture & Heritage presented to Royal Footsteps Along the Kona Coast.